Québec City and the Art of Tea! Québec City is home to an astonishing wealth of British architectural heritage, especially in Old Québec and downtown. For example, there’s the Holy Trinity Cathedral, the Garrison Club, the castle-like city hall and Gare du Palais train station, the Québec Armoury, and, of course, Château Frontenac. But there’s another British tradition still alive and well today in Québec City: the art of tea. 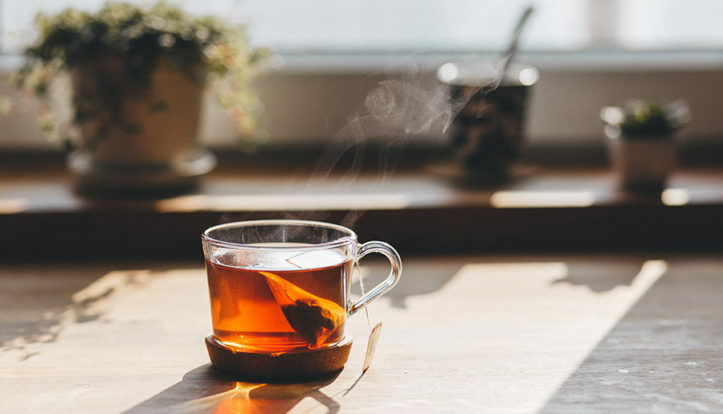 Although you can order a cuppa at just about any café or restaurant in town, sometimes you want to take your tea somewhere where you can get the full experience and enjoy this special moment! So here are some of my favorite spots for tea in Québec City. 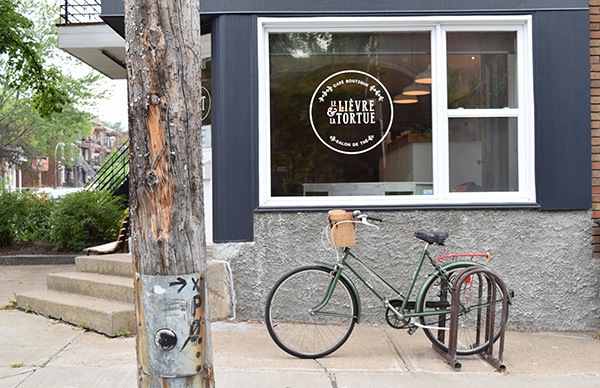 Le Lièvre & la Tortue, located at the corner of 3e Avenue and 12e Rue in Limoilou, is well worth the detour. This café, shop, and tea room is a lovely spot to grab a mid-day snack during the week or to kick back and enjoy a leisurely Saturday or Sunday. The atmosphere is very British and I love ensconcing myself in that little room that always makes me feel a bit like “Alice in Wonderland.” They have a great selection of tea, and I can never resist the temptation of ordering a few of their sweets served on flowery plates. They serve all the standards like lemon pound cake and scones, as well as a whole lot more! And if you’re with family and friends who aren’t big tea fans, the café also serves up good coffee and lots of other gourmet items. It’s always such a treat to come back and see all the new items that regularly come in! Do you like tea but you haven’t had the chance to explore all the different kinds? Then I know just the place for you. 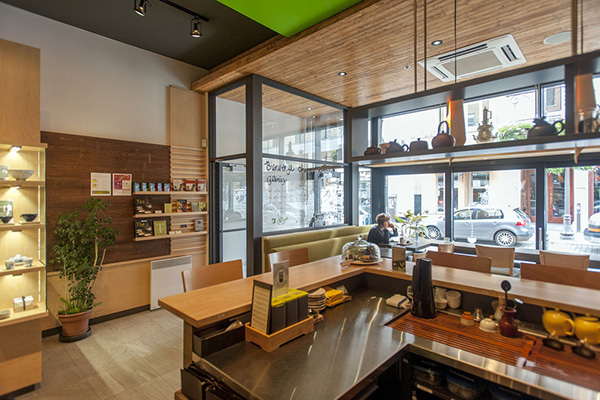 It’s called Camellia Sinensis, a tea room located on Rue St-Joseph Est in St-Roch. They have a huge selection: white, black, and green teas; teas from China, Japan, India, and Kenya; and even organic and aged teas. Fortunately, the knowledgeable staff is there to help you choose. In addition to enjoying a spot of tea—paired with an assortment of dark chocolates, shortbread, tea-friendly cookies, or dates—you’re sure to be impressed by the shop’s wide selection of bowls, cups, teapots, and specialty equipment. It’s the perfect place to visit if you want to treat yourself or pick up a great gift for the tea lovers in your life. 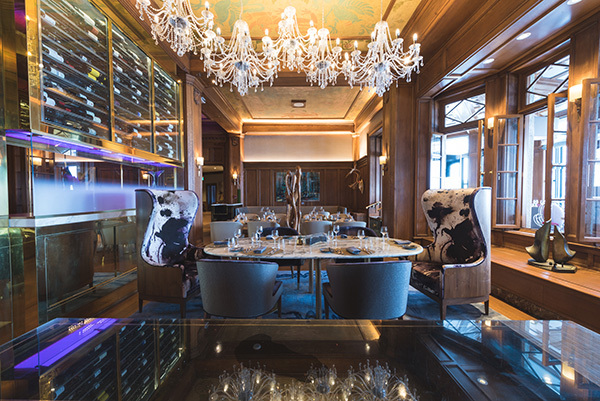 To change things up a little, my next recommendation, the Champlain restaurant at the Fairmont Le Château Frontenac, boasts exquisite décor, a cozy atmosphere, and a stunning view. For the ultimate tea experience at its most refined, look no further than their “Afternoon Tea,” held Saturdays between 2 and 3:15 p.m. It’s a chance to take part in an English tradition that dates back to the 19th century, when “high tea” was a full meal. You’ll see that the menu is also quite elaborate. With the extensive selection of teas, sandwiches, and savory bites, the scones with cream and a variety of jams and marmalades, and the assortment of sweet treats specially prepared by chef Stéphane Modat using high quality local ingredients, tea time has never been so delightful. And why not make it even more delightful with a glass of champagne? If you think you might like to have high tea at Château Frontenac in the near future, I recommend booking as soon as possible to get a table at the time you want. It’ll also be an opportunity to be a part of a historic moment because our illustrious neighbor is celebrating its 125th anniversary this year with some very special programming. And if you prefer a simpler, more relaxed experience after a long day of exploring Old Québec, you are more than welcome to take your tea in the comfort of our hotel lobby during your stay at Château Bellevue. And there’s no reason you can’t step out of our little “château” and stroll over to the big one to take part in all the anniversary festivities! I wish you a wonderful spring and hope you’ll be back for my next blog post in June when, with any luck, summer will finally be here!